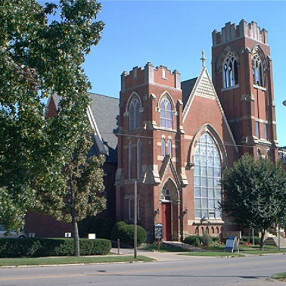 Zion is a member of the Evangelical Lutheran Church in America (ELCA) and a part of the Northeast Ohio Synod (NEOS). 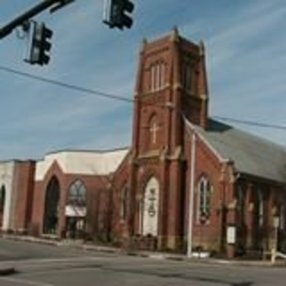 We are located in downtown Wooster, Ohio. We offer three Sunday worship times/ themes: 8:45am Coffee House (Contemporary); 10:45am Traditional Worship, and [email protected] for the community to Discover Zion while we gather for a meal and worship at 6:00pm. We provide an Adult Bible class and Youth Sunday School at 9:30am during the school year (no classes in summer). We also offer pastoral care- prayer, home/ care facility/ hospital visits. Communion is served each Sunday and available by appointment for those without access to Sunday worship services. 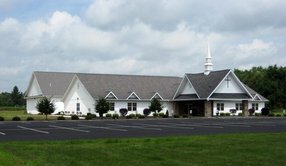 On the main level of our facility, we have our pastor office, main office, accountant office, a traditional sanctuary, a small chapel hall, gathering space with a kitchenette. Our lower level is especially designed for our contemporary service, with a fellowship space that includes round tables, chairs, and a full commercial kitchen. Upstairs we have our conference room and Sunday School office and class rooms. Elevator in rear Larwill Street entrance, gains access to all 3 levels. 2 parking lots (1: side- at the green awning off of Market St. & 2: rear- at the corner of Buckeye & Larwill). We host the local Cub Scout Pack and Boy Scout Troop- both meet in our red activities center on-site. We have an outdoor worship service once a year, in our fenced in yard, under our pavilion out back. We are actively involved with and support our American Cancer Society Relay for Life Team. We open our commercial kitchen to Ohio State for their Cooking Matters classes. The local Corvette Club meets here monthly. We have several outreach programs, serve our community, and love sharing God's Glory with others. We open our Food Pantry each Sunday at 5pm (limitations/ restrictions apply), then offer a meal with worship. MUSIC! We have our Coffee House Praise Band, a Senior Choir, Glory Ringers Handbell Choir, and a Youth Handbell Choir! We have 3 services on Sunday. Take your pick! Coffee House at 8:45am has a Praise Band, overhead projector with slide show, sermon, communion. We are downstairs at the tables and chairs. Come as you are, leave as friends. Traditional Worship at 10:45am has a grand Schantz pipe organ, choir & bell choir (except in the summer), traditional liturgy, sermon, assisting ministers, communion. We are in the Sanctuary (when the renovations are complete). We invite everyone to worship with us, and join God's followers. [email protected] is our Community Outreach for those in the neighborhood to Discover Zion. 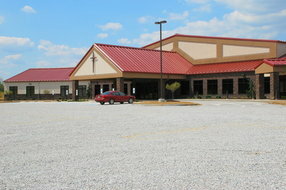 We have our Food Pantry at 5:00pm, our meal about 5:45pm with worship service at 6:00pm. Helping those in need, feel God's encouragement and love. The church community actively works together. Although we are different denominations, we are all working for the same boss, with the same goal. God is so good! God still loves you, and our church welcomes you! Go here? 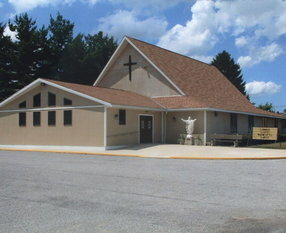 Tell us why you love Zion Evangelical Lutheran Church. Visited? Tell us what a newcomer can expect. 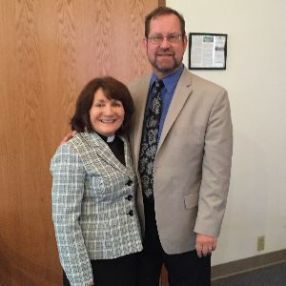 Enter your email address to receive an informative welcome email from Zion Evangelical Lutheran Church.